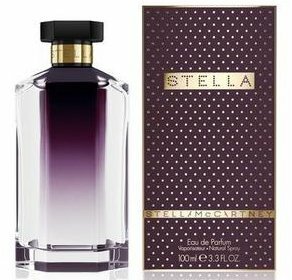 Today's post includes collector bottles from Lalique, Guerlain and Estee Lauder; a coffret from the newly reconstituted Le Galion line; a travel atomizer from Memo; and new packaging for Stella McCartney Stella, Boudicca Wode and the Lush fragrances. 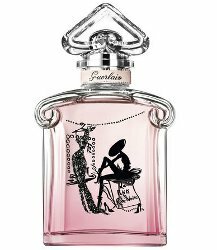 From Guerlain, a new limited edition bottle of La Petite Robe Noire Couture Eau de Parfum. At Sephora in France, in 50 ml. 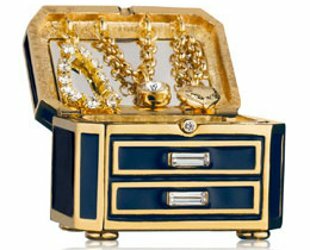 From Estee Lauder, the Precious Jewels Perfume Compact: "You'll treasure this dazzling jewelry box. Open the compact to find Private Collection Tuberose Gardenia in long-lasting solid perfume." $250 at Neiman Marcus. 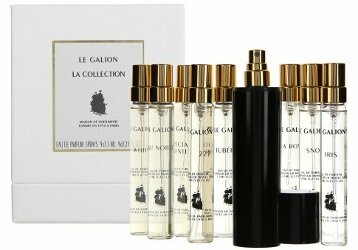 From Le Galion, a limited edition coffret with a purse spray and 7.5 ml refills of all nine of the line's relaunched fragrances. At Colette in France, $156 without tax. The new packaging for Stella McCartney's first fragrance, Stella (the juice is reportedly unchanged). Available in 30, 50 and 100 ml Eau de Parfum. 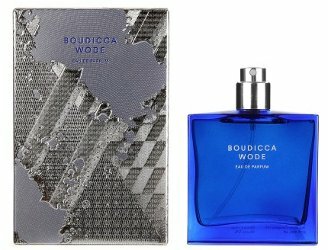 And new packaging for Boudicca Wode, which used to be sold in something that looked like a can of spray paint (and I believe that the version that sprayed blue is discontinued). In 50 ml Eau de Parfum, also at Colette in France. You can still find the plain, utilitarian black bottles at the Lush USA site, but they've disappeared from Lush UK and are on their way out everywhere. The new, more fanciful packaging matches the more recent Gorilla Perfume releases; shown above is Karma. 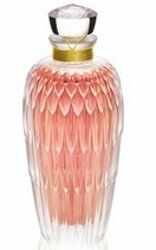 I’m not much of a bottle girl, but that Lalique one is undeniably pretty! Ditto! I liked last year’s too. I agree – it’s a pretty pretty bottle. Is the scent as good as the bottle? Well, it’s pretty, but I don’t love it. 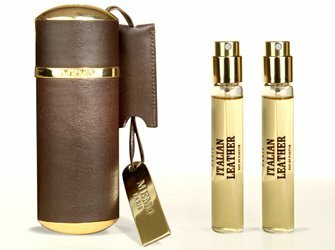 I would love that travel set of Memo Italian Leather. I just checked their website and it says that coffrets and travel sets are coming soon. Will be checking them out soon! It’s gorgeous, but boy is that leather case expensive! Yes! At first I was like wow, great! Then I noticed that the leather case has its own price. Why do these lovely sets always have the case individually? It’s a set ‘including’ a leather case, so if they aren’t really evil people, my logic tellsm me the the three vials are included and the lower priced are for refills. I’m glad I don’t like the colour of the leather or I’d be in trouble indeed. Well, “including” is my wording, and now I’m not sure I understood the source…so am not swearing to anything. I wonder if the new Karma has a spray or whether its a dropper? I know I’m a minority but I quite like the plain black bottles: they look ugly in pictures but the bottle (which I assume is glass) feels like cold stone in my hand! I did not mind the black glass so much. These might be more fun? Will have to wait to see what sizes are available when they’re done, but right now seems like almost everything at Lush UK is in a 10 ml (definitely spray, you can see it in the image) and 30 ml (not positive but would think it’s a spray). Yay for 10 ml! Breath of God, though, is in a dropper bottle, and Dirty is still in that black spray thing that looks like Windex. I like the black bottles, but they are not printed with the scent on the bottle…at least mine isn’t. My Imogen Rose has this paper tag that sits on top around the sprayer. If you lose the tag then you really don’t know what you’ve got. I know, so annoying! I also don’t mind the black bottles, but up against my other lovely bottles, it looks fairly ugly and utilitarian and then I never want to wear it. The power of suggestion…well, my own!